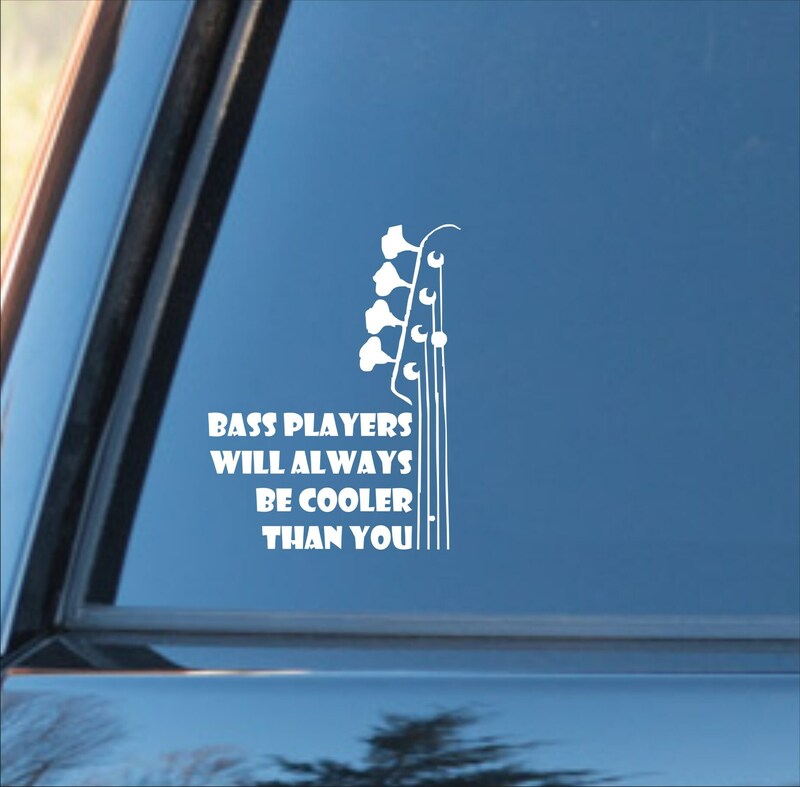 Bass players will always be cooler than you decal- You hear the music but you feel the bass. 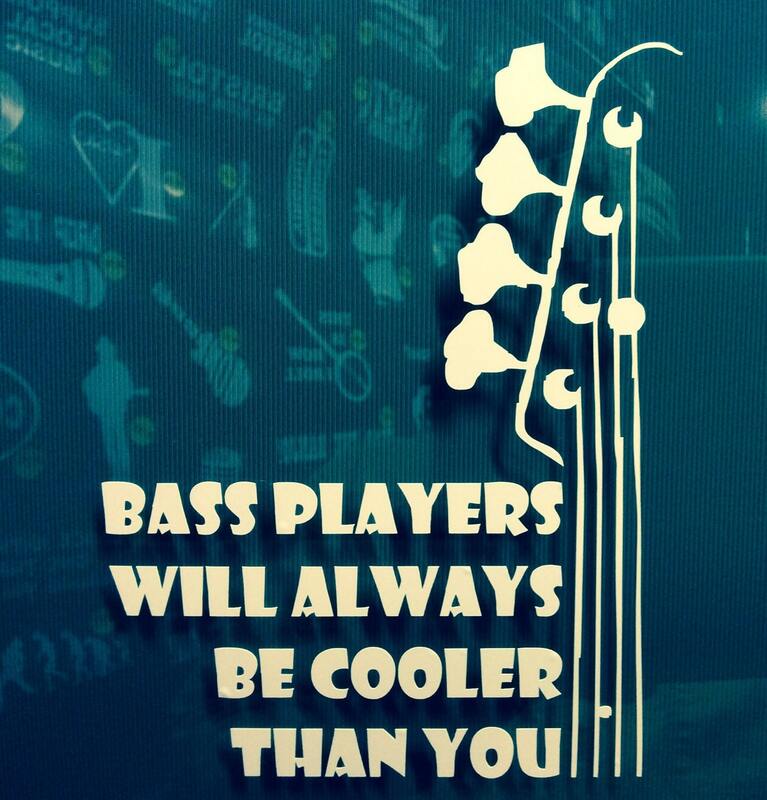 Display that you are the drive and the thunder of the music! 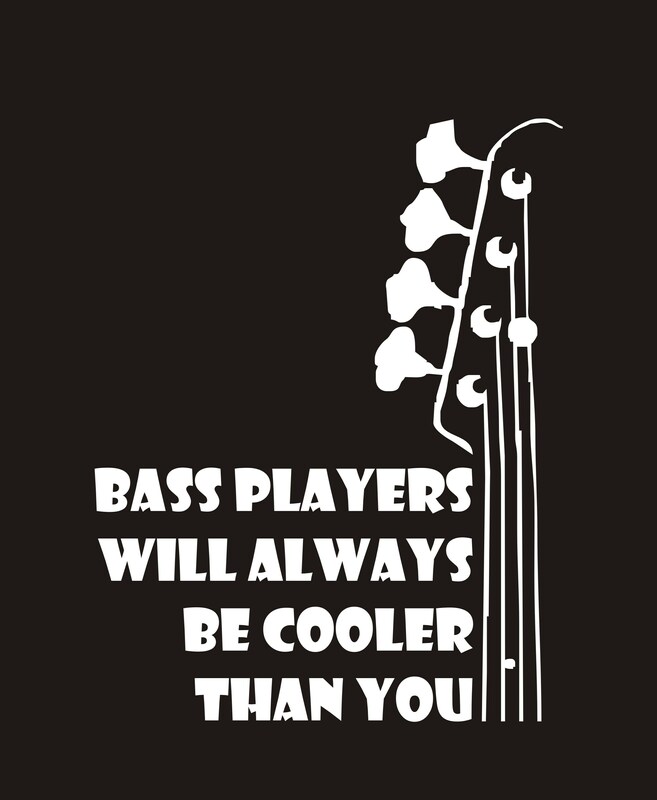 Bass players unite! We are the Gods of thunder! “Primary color” is the color of the vinyl. There is NO background – NO background color. My Bass player loves it,top stuff! 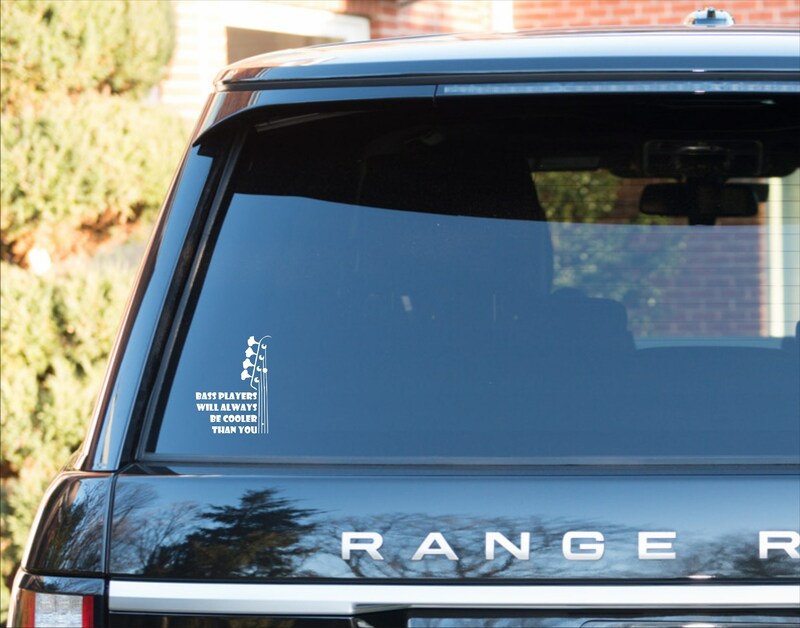 impeccable, conforme, grande qualité, génial sur ma voiture.